With the many areas of the country experiencing a harsh winter and heavy snow(the Northeast in particular), many people assume that their local deer are struggling to stay alive. Some homeowners will attempt to feed local deer to keep them from starving. This however is actually detrimental to the deer and can actually do more harm than good. As bad as conditions get, please do not feed the deer. Deer are native animals and their bodies are designed to adapt to extreme winter conditions. During the warmer months of the spring and summer, deer will eat vegetation to help build up the fatty layer that insulates them. In heavy snow and cold temperatures deer will reduce travel and bed down in sheltered areas to reduce their exposure to the elements. Deer will reduce food consumption and utilize the fatty deposits that they have stored over the summer. While this doesn’t mean deer will stop foraging, their food consumption will be greatly reduced. Deer will target most roughage(tree and shrub twigs, buds, and any remaining nuts from the fall) but will also eat available landscaped evergreen shrubs and trees. If you or your neighbor are feeding deer, you may also see increased damage to your landscape due to the higher numbers of feeding deer in the are. Deer digestive systems also change in the fall to be able to break down this roughage, which is much tougher than the food they eat during the growing season. Feeding deer with things like corn and apples can cause their digestive systems to revert to breaking down softer foods. If feeding is not continued these deer will struggle to revert back to eating roughage, and are at risk of stress and possible starvation. Feeding deer with things like hay, cabbage, kitchen scraps, are actually more detrimental to the deer as they have little nutritional value but will make deer feel full. Feeding can also draw deer out of their sheltered areas causing them to use more energy than they would normally. If the food source is not replenished regularly, deer will return to the area with the expectation of food being there when it may not be available. Deer feeding can also lead to higher concentrations of deer populations around the feeding areas. This can actually increase deer mortality a number of ways. Deer who live in higher than natural concentrations are more susceptible to diseases, and disease will spread more quickly. This can lead to significant population decline in small areas. Deer feeding almost always draws higher concentrations of deer to the area. Higher population concentrations can also lead to increased predation as deer will struggle to stay hidden around the feeding area. In some cases deer will bed down near the feeder or feeding site making them more vulnerable to predators. So rest assured that your local deer population is safe and does not require the intervention of humans to stay alive this winter. If you are thinking of feeding deer or you know someone who is, please keep in mind that you may be doing more harm than good. Greg is the Director of DeerTech, SavaTree's specialized division that focuses on White Tailed Deer browsing and landscape protection. 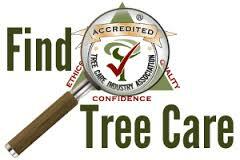 What should you look for in hiring a tree care company?